It's the first day of December and marketers everywhere are ramping up their festive campaigns. 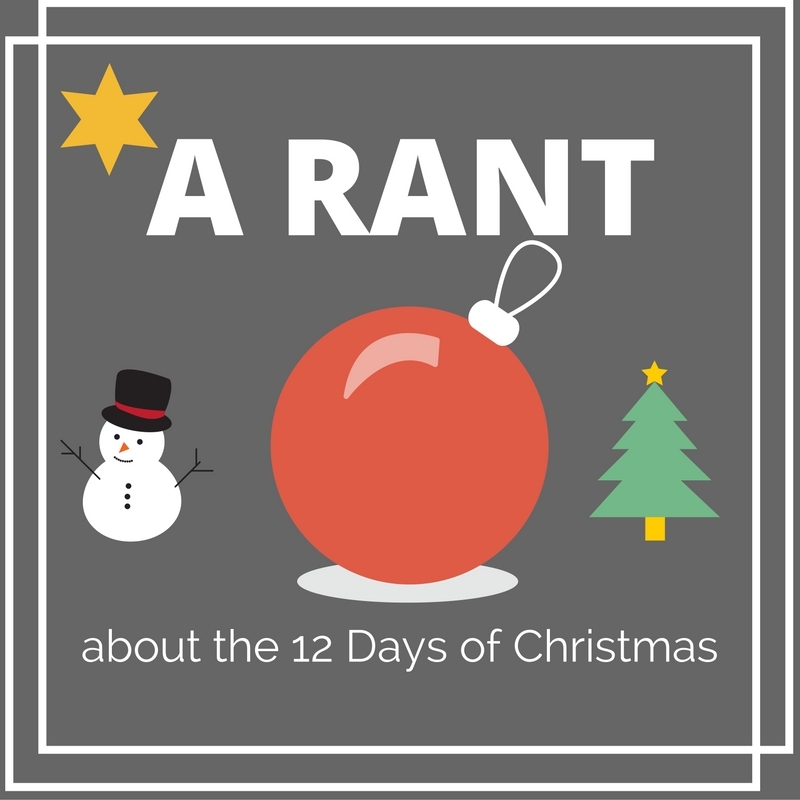 One of the popular promotions at the start of Advent is to run a promotion based on the 12 days of Christmas. There's only one problem: the 12 days of Christmas actually marks the period between Christmas and the Epiphany and not the first 12 days of Advent. I can understand that a 12 day promotion might be easier to manage than a 24 day event through December. I can see how it's a helpful follow-up to Black Friday and Cyber Monday. But is it really acceptable to hook a marketing campaign to a season that actually takes place several weeks later? I don't think so! To me, it's lazy marketing. It suggests that companies don't understand what exactly they are tying their marketing to. And, quite frankly, it shows a lack of respect. While I appreciate that Christmas, for many, is merely a season where you get a couple of days off work and can exchange presents and goodwill, for others it is a deeply significant religious festival celebrating the birth of Christ. The 12 days of Christmas is a period of celebration and reflection on the birth of Christ, culminating in the visit of the Magi or three wise men and the baptism of the Lord. It most definitely isn't the first 12 days of Advent, when Christians prepare in earnest for welcoming the Light of the World with the birth of Jesus. Perhaps it's the well-known song that has confused matters. But even popular carol has a deeper Christian meaning. Some suggest that the lyrics were a code used by Roman Catholics in England between 1558 and 1829 when they were not permitted to practise their faith openly with the 'true love' representing Jesus. Credit for this information from: The Catholic News Agency - original source Father Calvin Goodwin, FSSP, Nebraska. I wonder how it would be received if marketers tried to attach a campaign to a festival related to another major religion? For me, well I have an increasingly long list of companies that I will not be purchasing from this year. But, as it's the season of goodwill, perhaps it would be more Christian of me to forgive them their ignorance.